HueTrition Live is a brand new platform: Where Health & Wellness Meets Technology – The New Gateway to Food as Medicine and Preventative Health Destination. Join our HueChef Suzy to get the inside scoop on nutritious recipes, livestream cooking, Q&A sessions, access to exclusive content, and more! Chef Suzy McClain has a Bachelors in Nutrition Science from the University of Nevada Las Vegas where she is now finishing up her U.N.L.V. Dietetic Internship. 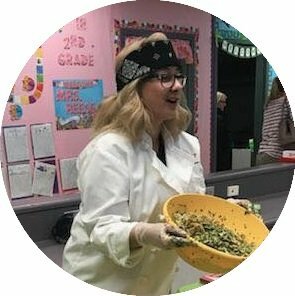 As a future Registered Dietitian, Chef Suzy specializes in creative live chef demo’s where she keeps her audience engaged with simple, fun, educational and effective ways to take nutrition to the next level. Chef Suzy is passionate about mentoring families to meet their child’s growth and developmental needs to help them maintain a healthy lifestyle when they are adults. Learn more about Suzy. Join our HueChef Mark to get the inside scoop on nutritious recipes, livestream cooking, Q&A sessions, access to exclusive content, and more! Chef Mark is the recipient of numerous culinary and educational honors, who has worked around the world in culinary arts for 37 years. He is a frequent lecturer and judge in various international venues. 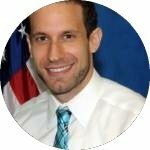 Learn more about Mark. Join HueDietitian Lisa to get access to one-on-one consultations, Q&A session, nutition facts, exclusive content, and more! Lisa is a Registered Dietitian Nutritionist (RDN) with expertise in personal nutrition coaching for women and men seeking a healthy lifestyle. Areas of service include adult weight management, diabetes self-care, menopause weight gain, and gut health. She is also the Director of Marketing at RDN Nutrition Consulting. Learn more about Lisa. Join HueDietitian Moe to get access to support groups, nutrition facts, and more! Moe Schlachter began his career as a chef in the New York City food industry. He earned a Masters of Nutrition degree at Texas Woman’s University in Houston, TX. Moe is a Registered and Licensed Dietitian (RD, LD) and Certified Diabetes Educator (CDE). Learn more about Moe.